Having a problem with my Dell Vostro 1500 on Windows Vista Basic. When using the computer, after a few minutes the computer freezes and ends up crashing, usually when browsing the web. I have tried virus scans on AVG and Avast and both couldn't complete a scan without the computer freezing. This also happened in safe mode. When I disable the virus software (same when I had AVG and now with Avast), it seems to solve the problem and the computer runs fine. I have run spyware and malware checks but they only seem to work using the 'quick scan'. I have managed to get a Hijackthis log which is copied below. Any help would be very much appreciated and if I have missed anything, please let me know and I will provide details. Sorry for the delay in replying. My situation hasn't fully changed, the computer keeps crashing but it is very random. Sometimes I can't get 3 minutes out of it before it crashing. Sometimes it works fine for hours but seems very sluggish. I have noticed a change since changing back from Avast to AVG 2012, however I haven't been able to complete a virus scan as it always gets to around 85% and the computer ends up crashing. I hope this isn't too unclear, feel free to ask any questions and I will answer as well as I can. All my logs are below and attached as instructed. NOTE: computer has crashed twice while trying to finalise this post. Its almost as if the background virus scan reaches a part of the hard drive and just freezes up. My technical knowledge isn't brilliant but it could be a potential problem? Attached is the DDS attach.txt and below is the log. I don't see much in your logs to indicate an infection. Windows Vista includes a disk checking tool called CHKDSK which is similar to the "scandisk" tool from older versions of Windows. This application scans your hard drives for errors such as lost sectors, bad sectors and corruption. Thanks for this. I will start working on this now and get back to you ASAP. Appreciate all your help. 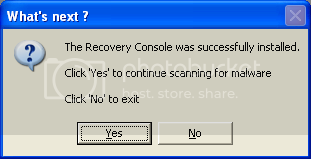 Hi, I have performed the CHKDSK and the 'SFC /SCANNOW'. I have attached a screenshot of what it said after the SCANNOW scan. 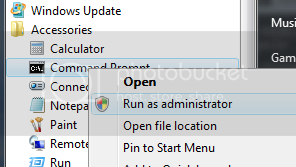 It says it has corrupt files and is unable to fix some of them and then states details are included in a log. However when trying to access this log it says 'access denied'. I have attached the screenshot but 'i do not have permission' to attach the log when attempting . I will continue with the other scans tomorrow.